Notes From Elm Grove - March 2018 — Liberty Financial Group, Inc. The decades-old ritual for cardholders – scribbling something resembling your name on payment slips – is ending. Merchants will still have the option of asking for a signature, but the requirement will be history as of April. Why? Merchants typically don’t check a card holder’s signature – either on a paper receipt or an electronic screen – against the signature on the back of a card, and many cardholders fail to sign their cards anyway! Furthermore, development of a number of digital authentication technologies that are more secure than requiring a signature, such as tokenization, multi-factor authentication and biometrics, provide a more seamless payment transaction. Plus the consumer will like the convenience and the increased speed of the checkout process. Retailers with have lower costs and hopefully pass those on to the shoppers as well for a win-win result. Most of you know of the gratifying time I have spent working with my blind, certified therapy dog, Toto, visiting hospice patients and families over the past 5 years. We also went to schools and pet fairs to teach the benefits of pet assisted therapy. Because of his particular skills in sharing love, Toto was featured in the Pet Partners national November newsletter. Well, the time has come for Toto to retire. He is 14 and has developed a bit of doggy dementia and hearing loss so we did not sign up for recertification. He is now a Therapy Dog Emeritus! He is qualified to do reading with Rover at the library through the Washington County Humane Society because all he has todo there is sit, listen, and get lots of petting from the kids! He is a favorite of the librarians because he is quiet, gentle and his tail wags constantly like a metronome. I’ll find another, but Toto was a natural therapy dog and will always be number one in my heart. According to a cyber-threat research company, in spite of knowing the dangers of “phishing”, identity thieves sending emails that appear real, nearly 40% of Americans have become victims by clicking corresponding. Perhaps some of the reason could be that email usage is now dominated by impatient mobile phone users with smaller screens! World-wide, 55% of all e-mails were sent via mobile devices. Marketwatch reports that some people are sticking with or switching back to flip phones. Research shows flips discourage instant responses, make it easier to avoid news headlines and social-media chatter, and are less distracting allowing users to get work done. Now when I drive into my chiropractor’s parking lot, I smile at the sight of the returning magnificent pair of sandhill cranes. They have returned to nest in his yard for several years. Another pair of sandhills has chosen the vernal pond behind our house and there are several more couples in the prairie next door and the corn field across the road. All of those sites are near wetlands or marshy areas. Sandhills have expanded their nesting areas and, except for a few subspecies, are not on the endangered list, but loss of habitat still can be a potential in the future. Their size, jumping antics and distinctive coloring make them a delight to watch, although their loud unison callis not a favorite of mine early in the morning! I do like to watch them run on the water, take-off and soar just over the tree tops. It’s time for another play by West Bend Children’s Theatre! This year we are presenting “Alice In Wonderland” and I am Tweedle Dum! 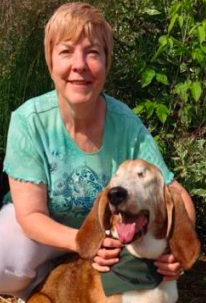 My friend, Barb, a retired RN, is Tweedle Dee. If you have the inclination, come and see us sing and dance at one of our 7 performances at theWest Bend High School Silver Lining Theater April 11, 12, 13. We expect about 4000 children during the 6 daytime shows! The entire Liberty staff will be going to the Wednesday, April 11,12:45 p.m. production. Join them or come at 7 p.m. on Friday 13th. 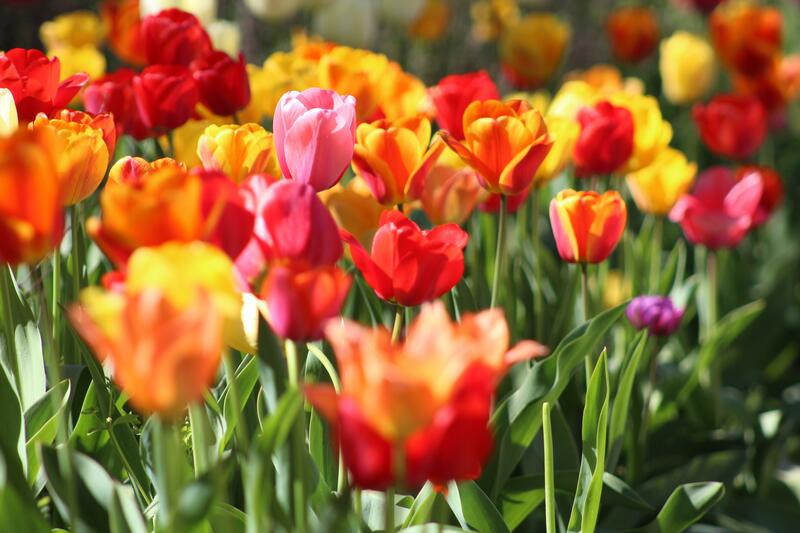 From all of us at Liberty Financial Group, we hope you have a blooming great spring!